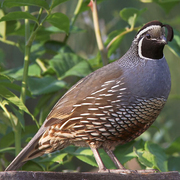 Introduced from southwestern United States. In Kittitas County, common and widespread in most habitats below lower tree line, though less common and local in pure grasslands and undisturbed shrub-steppe. 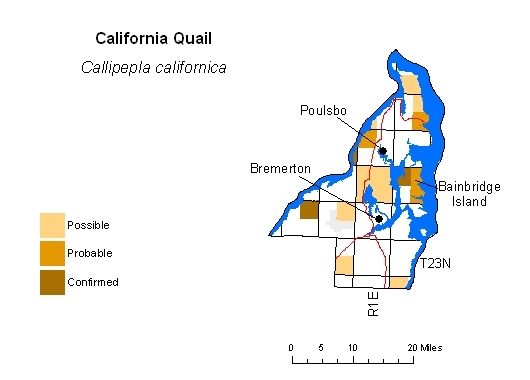 Fairly common, but local, in open lowland landscapes of Puget Trough counties; especially widespread on Whidbey Island but scarce on Camano Island (no BBA records). Found chiefly about shrubby edges, farmlands, riparian shrubs, residential areas, and city parks.